Overtime can be the most exciting time of a game. Open ice, skilled players and sudden death. For Colorado Avalanche fans, six out of seven times this season it has been exactly that, sudden death. The Avalanche are 1-6 in overtime this season. Their only win came as a result of a power play goal. But even a power play in overtime hasn’t guaranteed success. Their futility in overtime includes losing on a shorthanded overtime goal. Could anything be more frustrating than watching the Avalanche in overtime? They are currently winning all games at a 60 percent rate. If they had the same winning percentage in overtime, they would be 5-2 in their seven games that have reached the extra frame. Even if they were just above average and were 4-3, those extra three points would be huge in the standings. Instead of being third in the Central Division and only six points above the last Western Conference playoff spot, they would be second in the second and only behind the Tampa Bay Lightning and Winnipeg Jets in the league. That’s right, as of Dec. 23 they would be ahead of the Nashville Predators, Toronto Maple Leafs and Washington Capitals, teams generally considered Stanley Cup favorites, along with the Lightning and Jets. The Avalanche are one of the highest scoring teams in the league, they are fast and skilled and the open ice should make them one of the best teams in overtime. So why are they struggling in overtime? It starts with their strategy. While I am the first to acknowledge the great job head coach Jared Bednar is doing and believe he should receive a three-year extension on his contract, which is set to expire after next season, he continues to employ the same failed strategy in overtime. The Avalanche primarily use Nathan MacKinnon, Mikko Rantanen and Tyson Barrie to start overtime and every other shift thereafter. Seems like a smart strategy since MacKinnon and Rantanen are first and second in the league in scoring and Barrie is their best offensive defenseman. Conversely, these three may be the team’s worst defensive players. Overtime is won and lost on puck possession. Puck possession begins with faceoffs. MacKinnon has one of the league’s worst faceoff percentages at 41.3 percent. When they lose overtime faceoffs, they use their least skilled defensive players to defend the other team’s most skilled offensive players. That is a strategy that contributes to a 1-6 record in overtime. 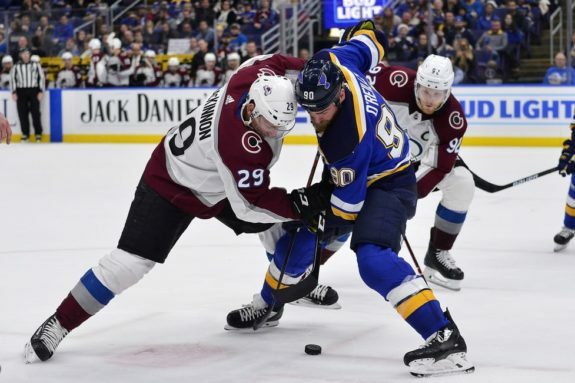 In the Avalanche’s most recent overtime loss to the St. Louis Blues, Ryan O’Reilly took the majority of the Blues’ faceoffs. He leads the league in faceoff percentage at 60 percent. Along with O’Reilly, the Blues deployed two defensemen. When they won the faceoff, one of the defensemen would change for an offensive player, typically Vladimir Tarasenko. This allowed the Blues to have their best offensive players on the ice when they had the puck and their best defensive players when they didn’t. While the Blues are terrible this season, they are 2-0 against the Avalanche in overtime games. The Blues’ strategy is one that works and the Avalanche should use it. 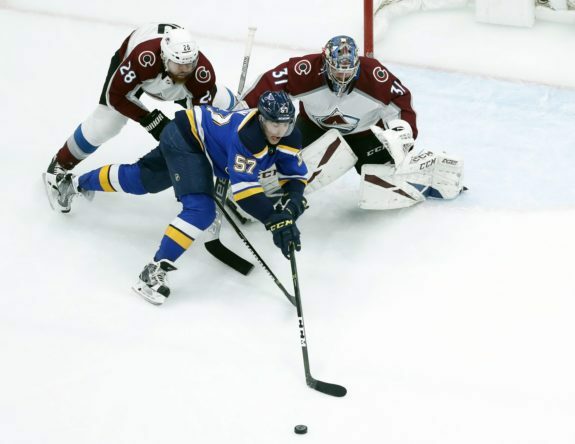 The Avalanche’s players best at taking draws this season are Alexander Kerfoot at 56.8 percent, J.T. Compher at 55.4 percent, and Gabriel Landeskog at 54.9 percent. They are also all better than MacKinnon defensively if they lose the draw. The Avalanche could also deploy defense pairs Samuel Girard and Erik Johnson and alternate with Tyson Barrie and Nikita Zadorov. 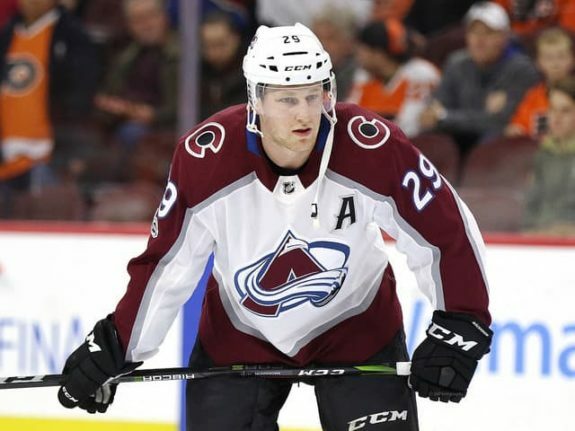 If the Avalanche win the faceoff, then Johnson or Zadorov could change with MacKinnon, and how dangerous would he be jumping on the ice while his team has the puck. This is a strategy that could turn sudden death into the best feeling in hockey, two points.